Hydrotherapy is the therapeutic use of warm water to exercise. 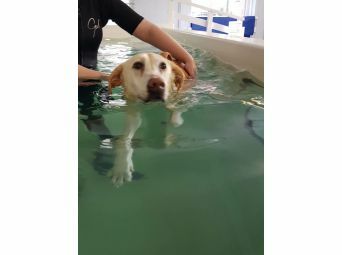 Aquavet Canine Hydrotherapy is Vet recommended and offers first class services and facilities to help with your Dog's rehabilitation from injury or illness. Our experienced, fully trained and qualified staff aim to offer a reliable and high standard of care and treatment which has proven to get real results. 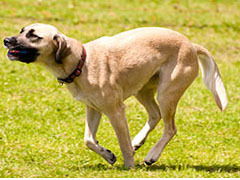 This covers individual plans for each dog designed to increase strength, flexibility, improve range of motion and increase cardiovascular fitness. It is used for Hip dysplasia, Elbow dysplasia, Arthritis, Tendon and ligament injuries, Post-op fractures, Neurological conditions, Spinal injuries, Weight loss and also for Fun and fitness. 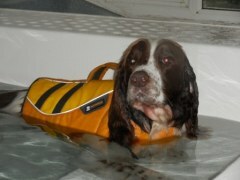 Our hydrotherapy services also includes fitness exercise and fun swimming for Dogs. We also provide Physiotherapy sessions conducted by a fully qualified Chartered Veterinary Physiotherapist. Please get in touch to find out more and let us get your Dog started on the road to recovery and good health. For therapeutic non weight bearing excercise in warm water, supervised by a trained and qualified hydrotherapist. If you need more information about how we can help with your Dog, please get in touch. We welcome a 'phone call and are more than happy to answer your questions. You can also email us or download information forms HERE . In July 2018, our 5 year old Dalmatian, Daisy, collapsed with a ruptured disc in her spine that rendered her paralysed from the waist down. She had surgery and our vets told us she would need regular Physio and Hydrotherapy sessions - something I had no idea even existed for animals! After asking for recommendations on a local community page, every single reply was to recommend Aquavets so we contacted them and we were given expert and friendly support and advice immediately, something we were so so grateful for. Since then, Daisy has been attending her sessions weekly and she has progressed so much. We are always given support, advice and recommendations of what to do and what kind of things would help her at home and her everyday life, things such as a wheelchair for her (which she absolutely loves!) and even little things like socks and creams and doggy pants to help with sores she gets with dragging herself around. Aquavet are by our sides with everything that involves with caring for our dog, they are marvellous. If your pet does ever need to have these kind of services, then I can’t recommend them enough! Buy 5 shampoos and get the 6th one FREE. 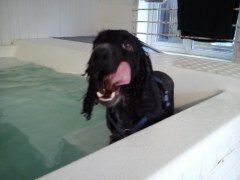 Aquavet Hydrotherapy Centre is owned and run by Lisa Dobson and has operated successfully for many years. 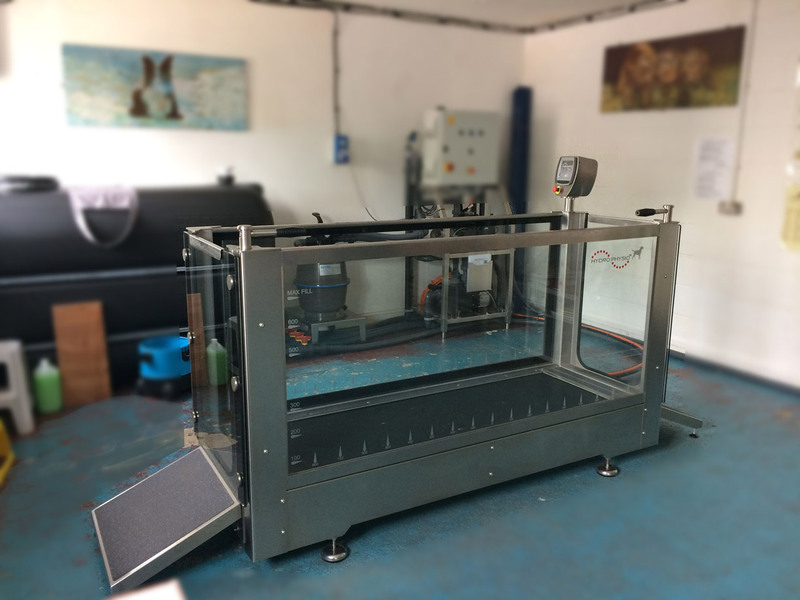 Recognised by Dog owners and local Vets as the place to send your Dog if it requires help to recover from illness or post operative care and where Hydrotherapy is the chosen method of treatment. Copyright © 2019 Aquavet Ltd. All rights reserved.